Chapter 3: "Curse Of The Barbarian"
Seconds later, Monty's joyous bubble burst with a bang. "I don't wish to dampen your excitement, son," his father said, "but you're too young to go up alone. Barb will go with you." Monty's wild victory dance ground to a halt. "Oh no, Dad! You wouldn't. You couldn't!" His joy evaporated as his father nodded. "She'll spoil everything!" "Monty!" his mother gasped. "That's not very nice." "No, it's not, Monty!" Mr Andrews wasn't happy with the bickering. 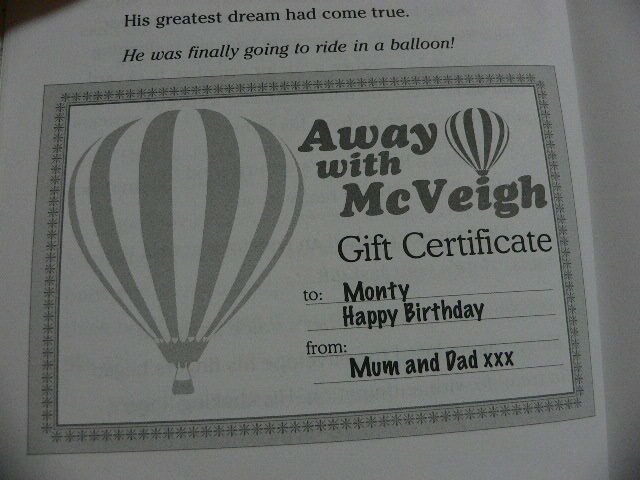 "You're too young to go up in the balloon by yourself and your mother and I don't want to go." He folded his arms against his chest. "It's quite simple, son. Barb goes up or you stay down. Take it or leave it." Monty caught the wicked gleam in his sister's eyes. She was enjoying every second of this torture. Her whole reason for living was to annoy him. "All right, he agreed sulkily. "But if she spoils my flight--"
Mrs Andrews gave her daughter a pointed look. "I'm sure you won't, will you, Barb?" The Barbarian had the grace to look offended. "Of course not, Mum." "All right then," Monty grumbled. The look he sent his sister was laced with poison. "Hope you don't get airsick, Barb. I won't be cleaning up after you up there." "Me, airsick?" Barbara's tinkling laugh rang through the kitchen. "I never get airsick, Monty." "Heights then," he continued. "How are you with heights, Barb?" "Fine, Monty. How are you with heights?" she grinned. "This is your first balloon flight. You might go all scaredy-cat on me at high altitude. Panic stations!" Monty's eyes were colder than a mountain glacicer. "Yeah, right." The Barbarian went on the attack. "You might faint from the lack of oxygen!" "We won't be going high enough to worry about that," he flung back. "What if a bird flies into the balloon and bursts it with its beak?" The budding actor's face twisted with horror. "We'll all die!" She sank in a dramatic heap to the kitchen floor. Monty couldn't resist the urge to applaud her performance. "No, we wouldn't! The bird would bounce right back off again, stupid!" 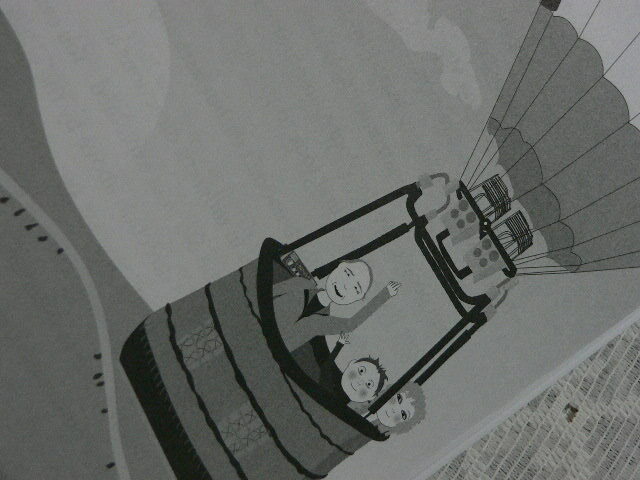 He pointed to The Montgolfiere cake. 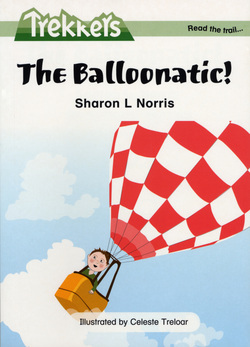 "What do you think hot air balloons are made of, Barb -- paper and glue?" "Hot air, I hope!" Barbara laughed. Spread-eagled on the floor, her heavy blonde ringlets bounced on the tiles as she cackled away. "You're full of hot air! You could rise without the aid of a balloon!" Monty's voice shook with anger. The Barbarian sat up and leaned towards the table. She reached over and jabbed a finger smack bang in the centre of The Montgolfiere's teardrop canopy. It left a gaping hole in the cake. "Well, let's just hope that balloons aren't made of sponge cake and icing!" she laughed as she sucked the sweet mixture from her finger. "They'd drop like a stone." Mrs Andrews was appalled at the damage to Monty's cake. "Barbara! That's enough. Look at what you've done!" "Oops! Sorry!" The Barbarian's heavily-mascaraed eyes fluttered in mock apology. Monty wished a hole would open up in the earth and swallow his rotten sister. She was going to turn his birthday treat into a nightmare.